Ziyuan Festival in the good old days. Rafters are heading to the Orient. 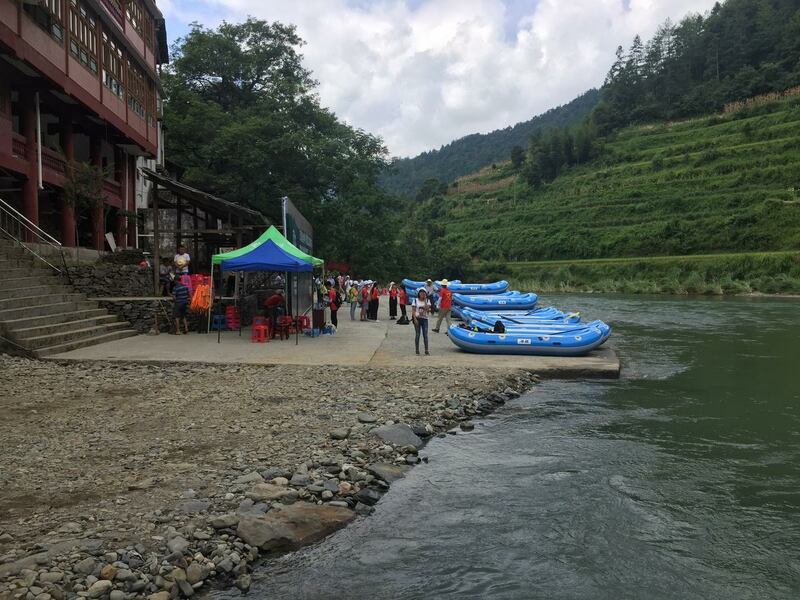 With China’s Guilin area host to some of the most beautiful waterways in the world, paired with the country’s knack for event choreographing and celebrations (anyone see the Beijing Olympics? 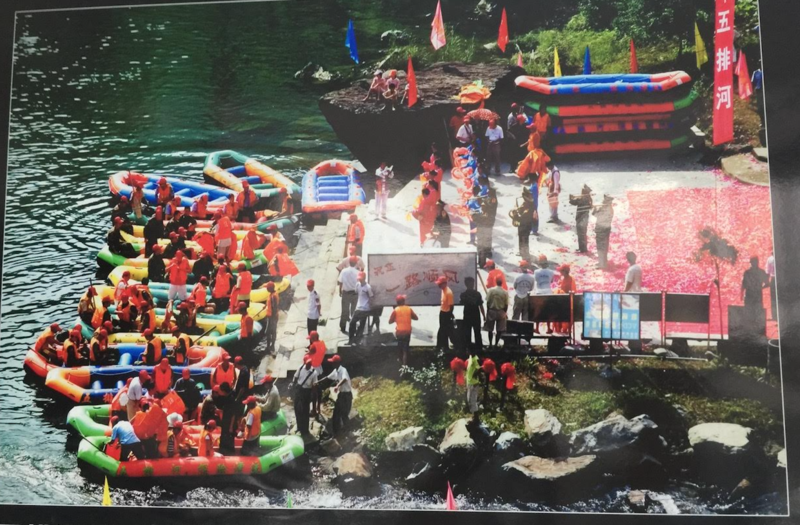 ), it’s only fitting that the International Rafting Federation stage its Ziyuan Rafting Festival on the Wupai River. 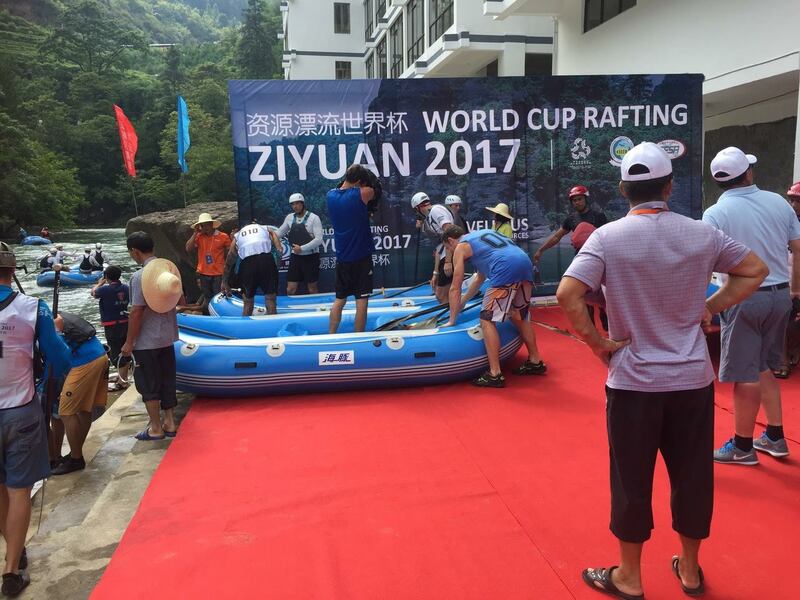 Beginning June 25, international rafting teams from across the globe will be flying into Guilin to compete in three days of raft racing. 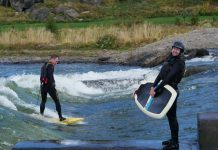 The festival will host a Sprint, Head-to-head, and Slalom (all 4 km) and a Downriver race (12 km). 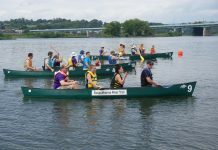 With substantial prize money on the line (around $24,000), teams are geared up to take the races by heat. They will have if they plan to keep up with a line up as stacked this one. Teams gearing up at the starting line of last year’s races. The Women’s Open will include teams from Australia, Chile, Costa Rica, Czech Republic, Denmark, New Zealand, Norway, Romania, and the USA. On the Men’s side, Argentina, Bosnia and Herzegovina, Brazil, Czech Republic, China, two New Zealand teams, and two Serbia teams will be competing. Following the raft races, there will also be a SUP race. 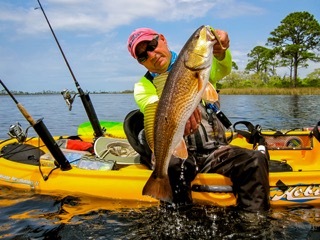 “The SUP contest has proven to be extremely popular, with over 120 local competitors registered,” says Head Judge Graham Maifredi of Australia. To celebrate the comradery of the athletes, the festival has started the Spirit Award. “Something we are trying here , and maybe at ERC and WRC later this year, is a “Spirit” Award. This award will be judged by the competitors. After the Downriver, I will ask each team to nominate a person or team who they feel most embodies the spirit of rafting, through their togetherness, fraternity, friendship, helpfulness, safety and respect,” says Graham. But this is no ‘participation award’. The winner will receive a $700 cash prize. In anticipation at the finish line. The Festival’s races will take place from June 28 – 30, and results can be found at http://www.internationalrafting.com/events-2/race-results/. Although it is too late to register for the races, there will be another IRF event held in the YuShu, Tibet China in August.